In the Gaza Strip, medical supplies are not only at a premium, they are sometimes non-existent due to restrictions and blockades. So looking to improve the lives of those around him, one doctor worked with other medical professionals to do something about it. 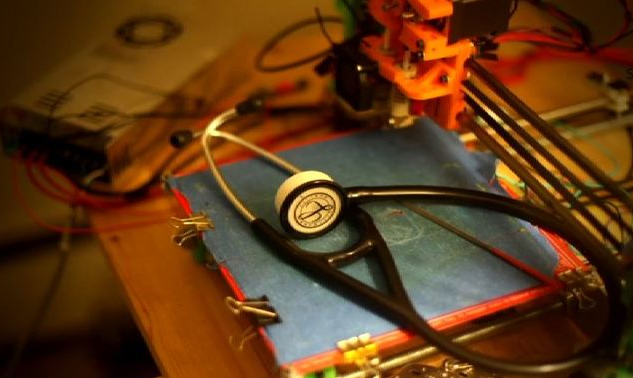 With the help of the Glia Free Medical Hardware project, Loubani created a 3D printed stethoscope that costs just 30 cents to produce with available supplies. “This stethoscope is as good as any stethoscope out there in the world and we have the data to prove it,” Loubani said. Now that it is available, Loubani is hoping others will make his design even better. “I wanted the people I work with to take it, and to print it, and to improve it because I knew all I wanted to do was bring the idea,” the dedicated doctor from Gaza said of his working stethoscope created with the help of 3D printing.